If you love Metallics, this one is a must! 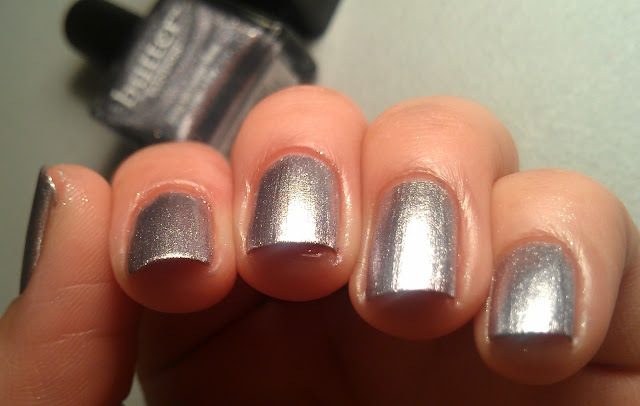 butter LONDON'S website describes this as a "silvery, lavender metallic foil, heavily infused with holographic glitter"
I agree with the silvery, lavender metallic part, but there is no holographic glitter in there or it does not translate to the nail very well. 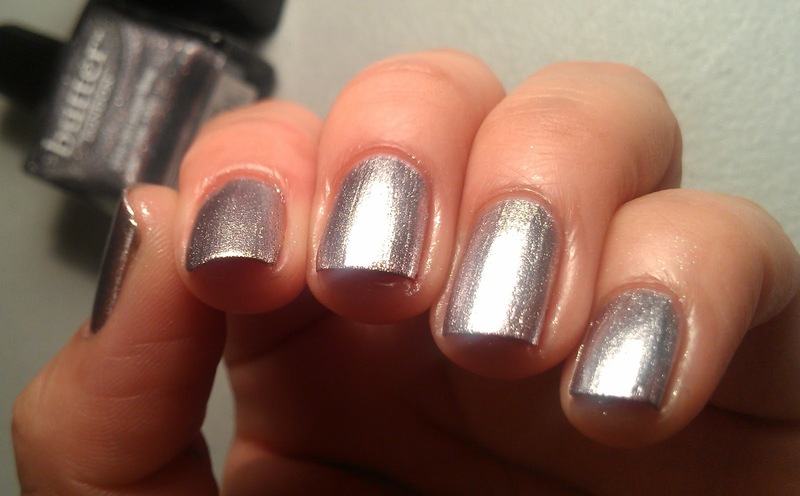 I still love this polish though, application is flawless, you can probably get away with 1 coat, I did 2 for this mani. I have worn it twice, the first time I had it alone for 3 days, the second I stamped over and wore it for 5 days, I did get tip wear around the third day, but it holds up pretty well. Then here is the stamped mani :) .. I LOVED THIS, I didn't do a top coat after the stamping because I liked how the metallic showed thru, it gave such a great contrast! These were taken after a couple days of wear, these are outdoors! Thanks for stoping by.. til next time! 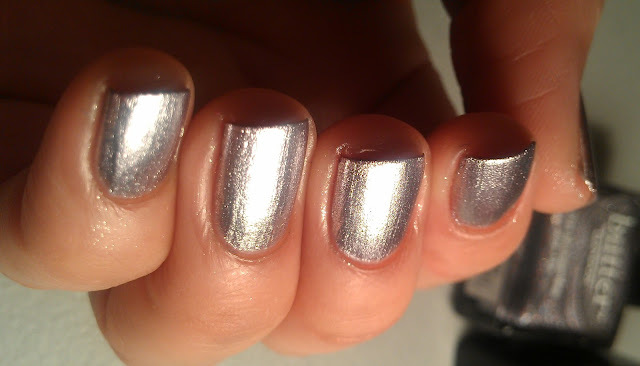 Does Butter LONDON even know what holographic is? Oooh, yes! I love the stamping! 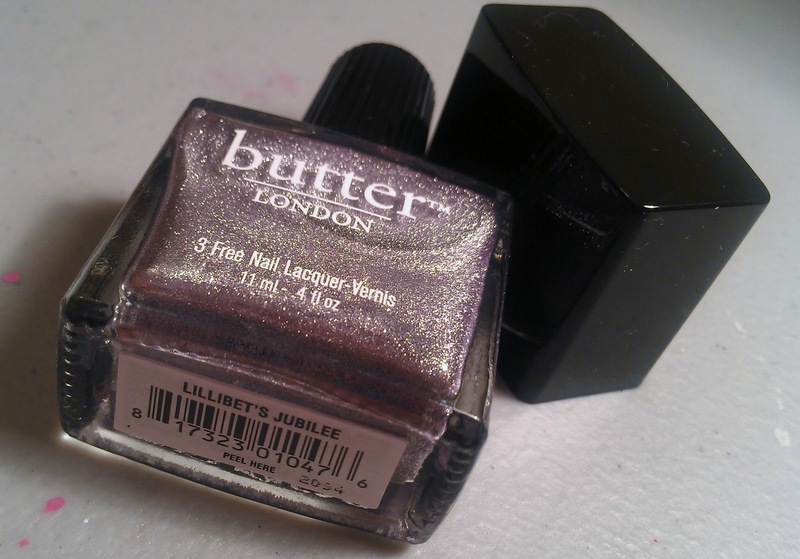 i'm growing so in love with butter london, but my budget doesn't necessarily allow for it! lol. Beautiful! I love metallics! The stamp looks fabulous too! OH, it stamps so well, a beautiful color combo. Thanks for sharing the swatches, I have been waiting to see this color swatched! I'm glad it stamps really well. The two colors make a perfect combo. omg this is so gorgeous! I keep saying I don't want to buy any more butter londons...but I'm really liking this! I love that Butter London! It looks like liquid silver!! Must have it!! Love the result but those Butter London polishes are overpriced imo. 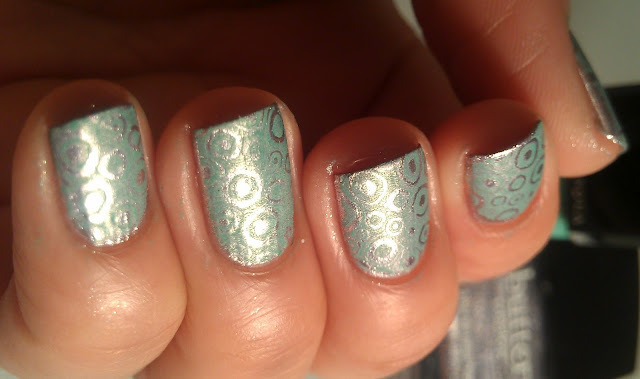 I really love the stamping! This is really awesome! I might have to get that Nomad! So pretty! I love the stamp!